I have been a fan of Freestyle Fam ever since I got a hold of their Unleashed project last year. 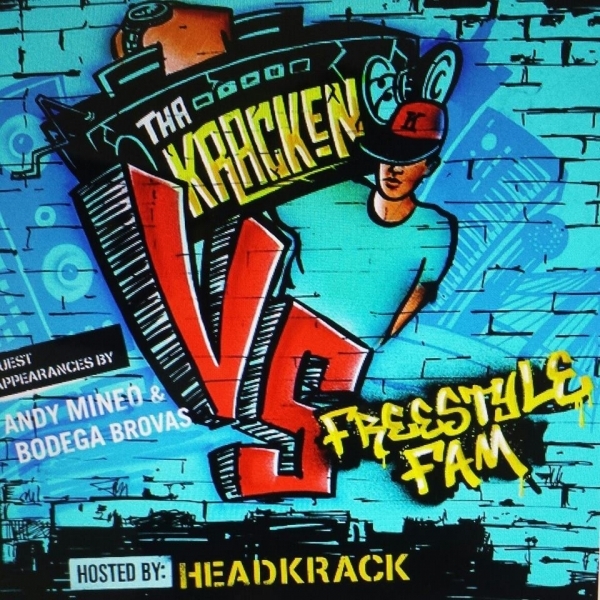 They showed and unbelievable array of skill on the microphone on that release, and they continue to demonstrate those skills when they link up with Grammy nominated producer, The Kracken. Quest the Wordsmith and Mike Testa are grizzled emcees. Don’t let the “Christian” moniker lead you into the illusion that they are not lyrical or can’t drop it heavy. Their lyricism is intricate and rugged. And when you combine that prowess on the mic device with The Kracken’s ability to develop head knockers, you undoubtedly have a winner here. Make sure you check this release and check out ANY product Freestyle Fam puts out. They are the truth!